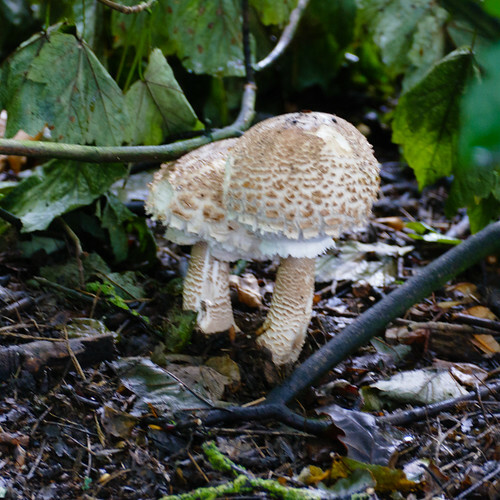 The Woodland Trust’s Himley Plantation is maintained to be nature-friendly, and supports a wide range of fungus species. These parasols had probably emerged the night before these pictures were taken. If left undisturbed, they could grow to be the tallest mushroom-shaped fruiting bodies which are likely to be seen around here. Himley Plantation is between Himely and Wombourne. The South Staffordshire Railway Walk runs through the wood.